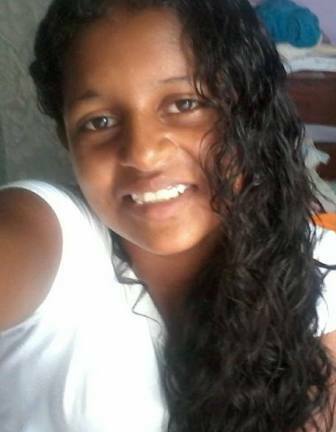 And in the north, a mother of Fourth Street North in Corozal Town is reporting that her underage daughter has been missing since last November. Now you’d be asking why the mother has just made a report, since fifteen year old Ana Villanueva reportedly left the house two months ago. According to the mother, she was not alarmed because Ana told her that she was staying with a family in Orange Walk Town. But last week Wednesday, she received a test from Ana saying, “Help me, I’m in trouble.” This triggered the report to the police because the family fears the worse. Villanueva is slim built, brown skin, has long black curly hair, is about five feet seven inches in heights and has a tattoo on her right foot with the marking ‘Anastasia.’ Late this evening, police say Villanueva may be in the company of nineteen year old Feliciano Bartley, a resident of Orange Walk Town. Anyone knowing the whereabouts of Villanueva is asked to contact the nearest Police or Corozal Police at 402-0022. You can also contact crime stoppers at 0-800-922-TIPS. Brown-skinned. Okay, is that light-brown, medium brown, or dark-brown? I need to ask so that when I go looking for her I don’t confuse her with the other 90% of Belizean girls her age that are brown-skinned.